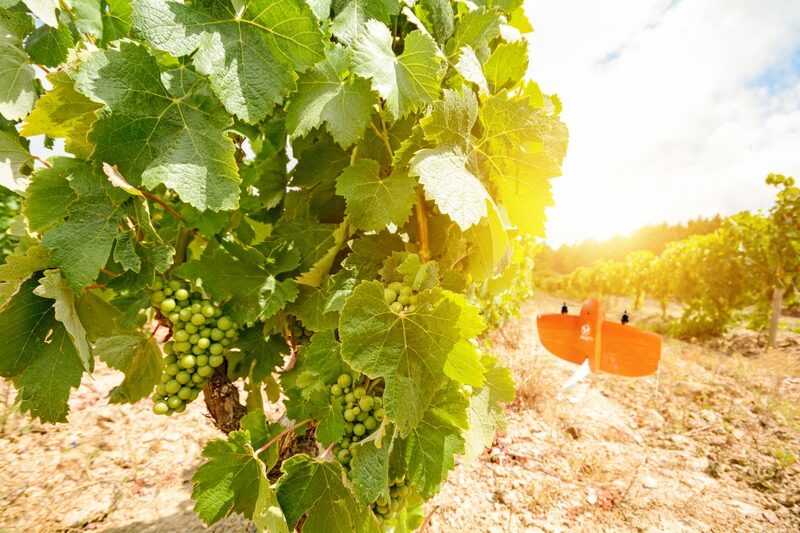 Would you ever think that drones could be involved in the process of making the wine you’re sipping? 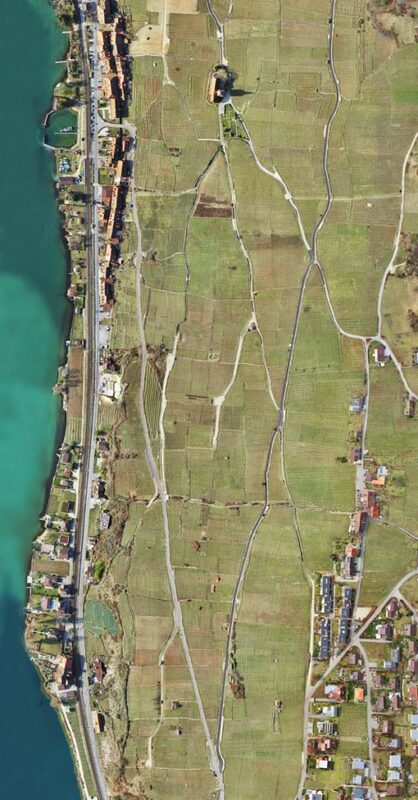 Probably that is not how the ancient romans did it, but now the most innovative Swiss vineyards apparently do so. 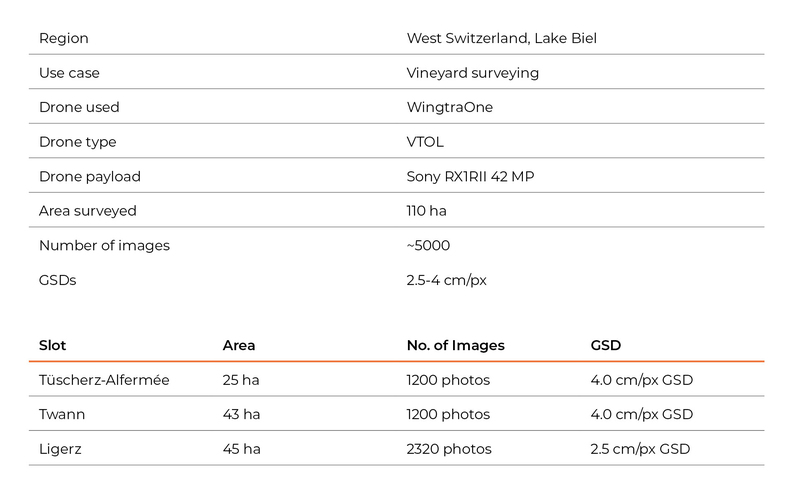 Wingtra and Geoplan teams report about vineyard surveying in the West of Switzerland, on the banks of the Lake Biel. The 100 ha vineyard area adorning the left bank of the lake Biel in Western Switzerland is considered to be a landscape of national importance and for a reason: not only do these vineyards produce some of the finest wines in Switzerland but are also a host to wild variety of rich natural ecosystem. However, this wasn’t always so. Prior to the year 2000, the properties were highly fragmented resulting in high production costs. Further, the land boundaries and growth of vineyards were also a cause for concern among ecologists for the preservation of flora and fauna in the area. The solution? Merger of these fragmented properties under RGZ TLTA (Rebond merger Twann Ligerz Tüscherz-Alfermée). With clearly defined boundaries and pathways, renovation of boundary walls, and allocation of area specifically for the natural ecosystem, the vineyards saw a new boost: both for sustainable wine production as well as the preservation of the existing rich ecosystem. The maintenance and honoring of the merger, though, requires regular cadastral surveying of the properties and pathways. But the same sloping terraces that give the vineyards their famed beauty also make for a challenging case for surveying: graduated terrain, narrow pathways, and geometrically irregular boundaries make traditional land surveying cumbersome. So this year, when the task of vineyard surveying fell to the GeoplanTeam AG, the surveyors chose a completely new way to do their job – a bright orange VTOL drone, the WingtraOne. 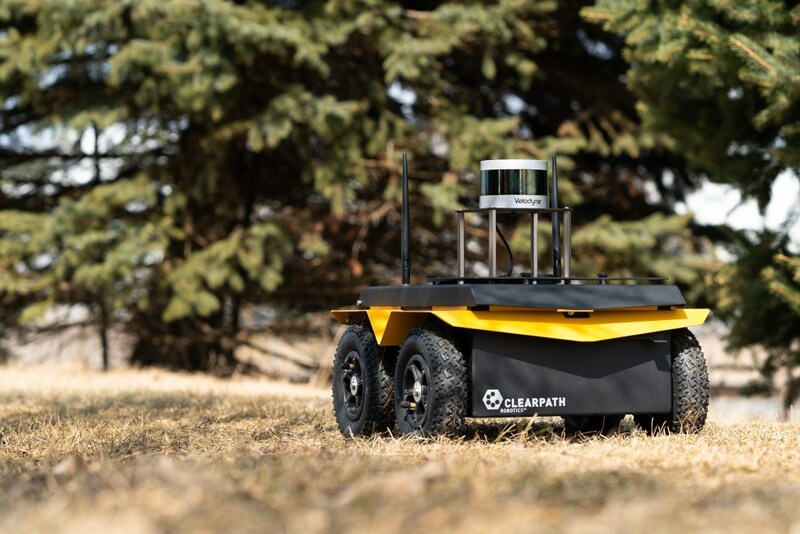 Comprising of about 25 employees, Geoplanteam AG is known for its work in the fields of surveying, geoinformatics and environmental technology. The team focuses on providing high quality individual solutions to its customers’ problems on time. This time they were responsible for some sensitive measurements: reallocation of the vineyard plots, the paths and wall constructions, as well as the remeasurement of these components from official measurement. Since the merger, the vineyards now support a community of 34 full time and 10 part-time farms today. Further, two changes were also made during the merger to support the ecosystem. Firstly, 7% of the area from the consolidated perimeter was reserved as ecological compensation area. To strengthen this further, dry stone walls marking the boundaries were restored. Secondly, the forest that borders the land was adapted to the stepped edges of the vineyard. Thus, to satisfy all the different stakeholders, landowners and the ecologists, land boundaries need to honored and checked for accuracy regularly. As the GeoplanTeam set out for this task, the challenging terrain of the vineyards made the option of aerial surveys lucrative. 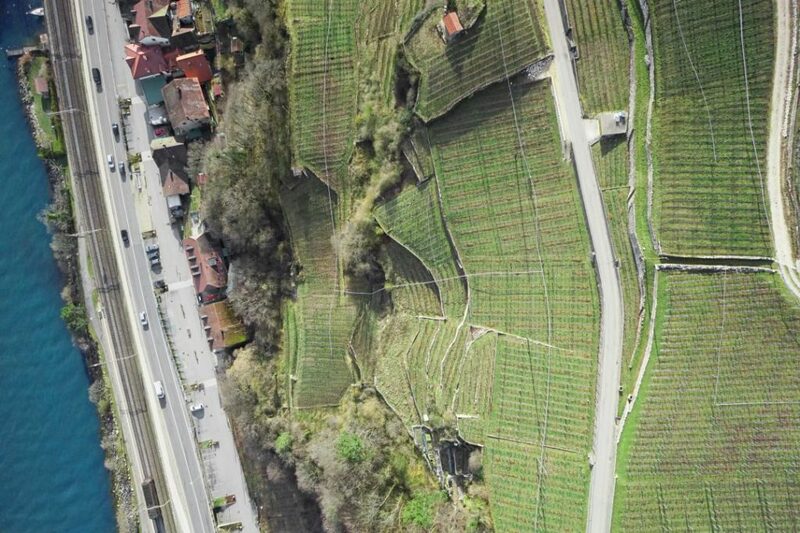 However, even with drone solutions, limited area to take-off and land soon proved to be a difficulty: there were only a few continuous level spaces available for the flight due to the terraces cut out into the terrain for the vineyards. Further, the sensitive nature of the survey demanded high accuracy. 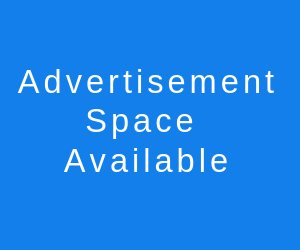 The WingtraOne emerged as a natural choice in the face of these requirements. As the drone possesses vertical takeoff and landing capabilities, limited space wasn’t a problem. Thus, the GeoplanTeam chose a small 8 m x 10 m area on one of the vineyard terraces as the takeoff point. 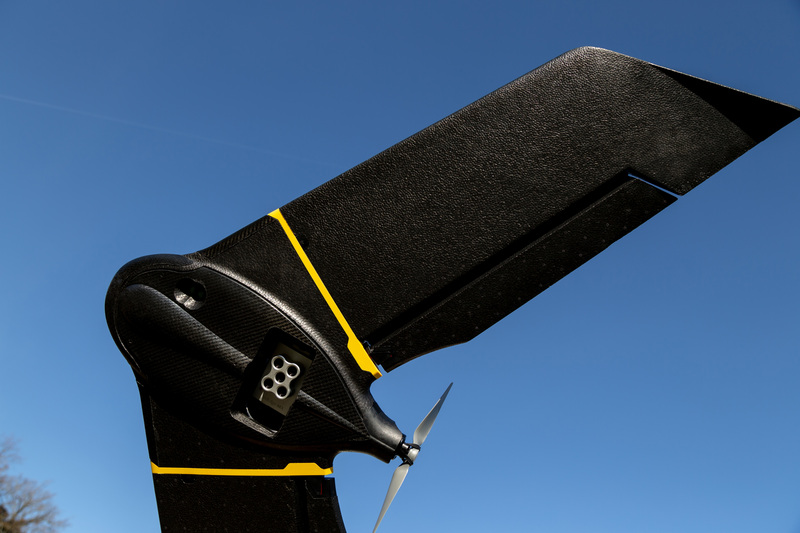 To ensure high accuracy, they used the full frame, 42 MP Sony RX1RII camera that came integrated with the WingtraOne drone. 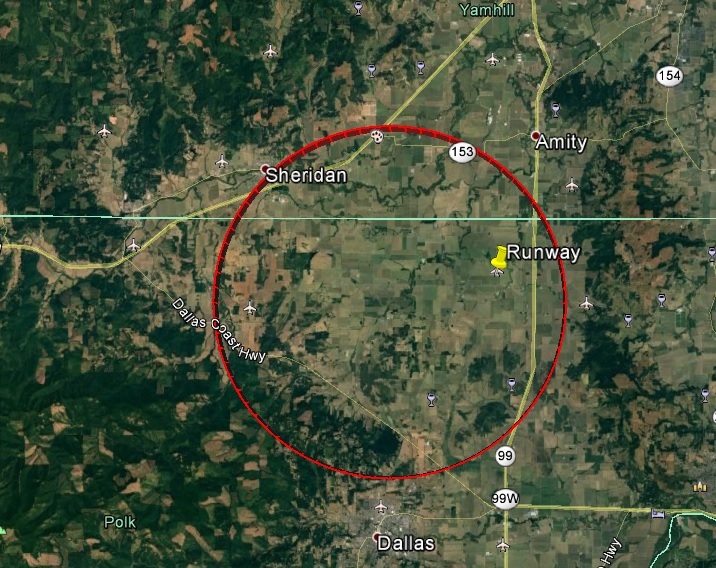 They were able to enhance accuracy further by planning the flights in minute detail where required with the WingtraPilot app – the easy to use flight planning software that accompanies the WingtraOne. These orthophotos were then further post processed and used to determine the type and delineation of individual areas, as well as the type and size of pavements, stone walls and paths. The official measurements of the vineyard area were then validated against the measurements conducted by the GeoplanTeam. 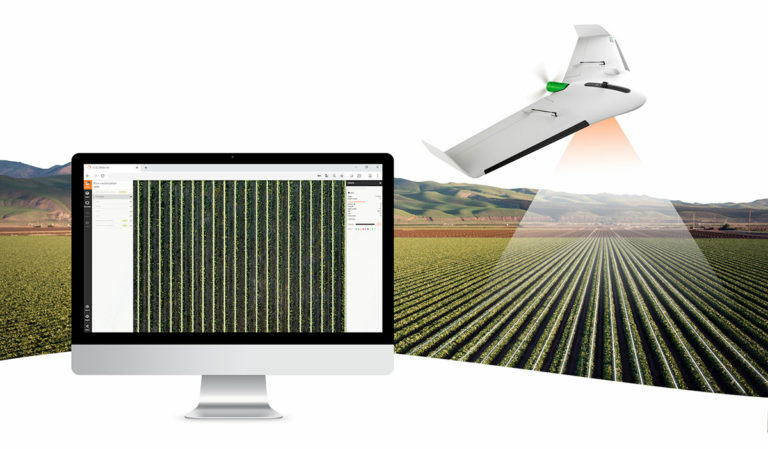 Thus, with a combination of diligence from the GeoplanTeam and the use of technology in the shape of the WingtraOne, the stakeholders of the RGZ TLTA merger were satisfied. Neither sustainable wine production nor ecological protection had to be compromised. 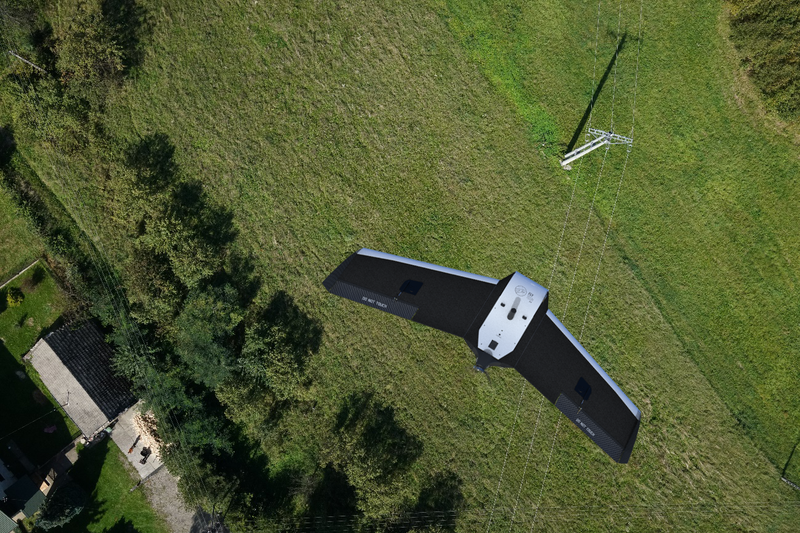 Besides surveying, the ease of use of WingtraOne with its VTOL capabilities, high accuracy data collection and long flight range have also made it a favorite among researchers. Some examples include glacier monitoring in Greenland, bird counting in Germany and wildlife monitoring of vulnerable sea mammals in Australia where the researchers operate the WingtraOne from a boat. 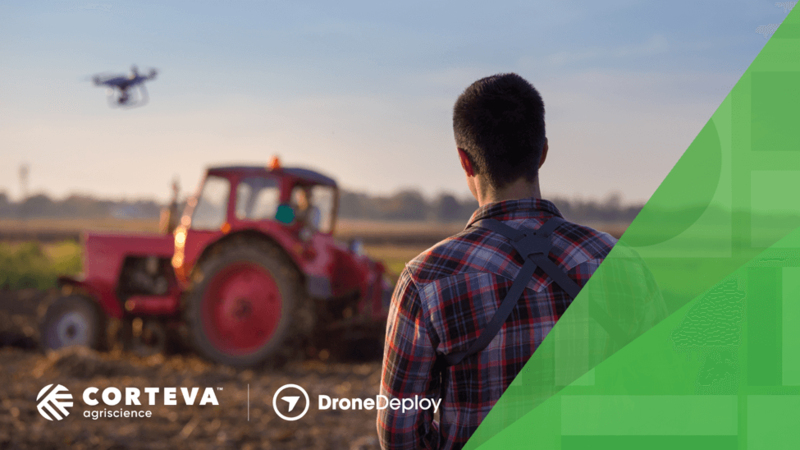 In all these different cases, drone use has been able to greatly reduce the risk of workers by dramatically shortening the time required on the field. The growing range of applications, thus, is not only helping to increase work efficiency but also saving lives of people and animals.